At Alloy Apparel we believe in women empowering other women. We love to get inspired by those making positive changes around the world. 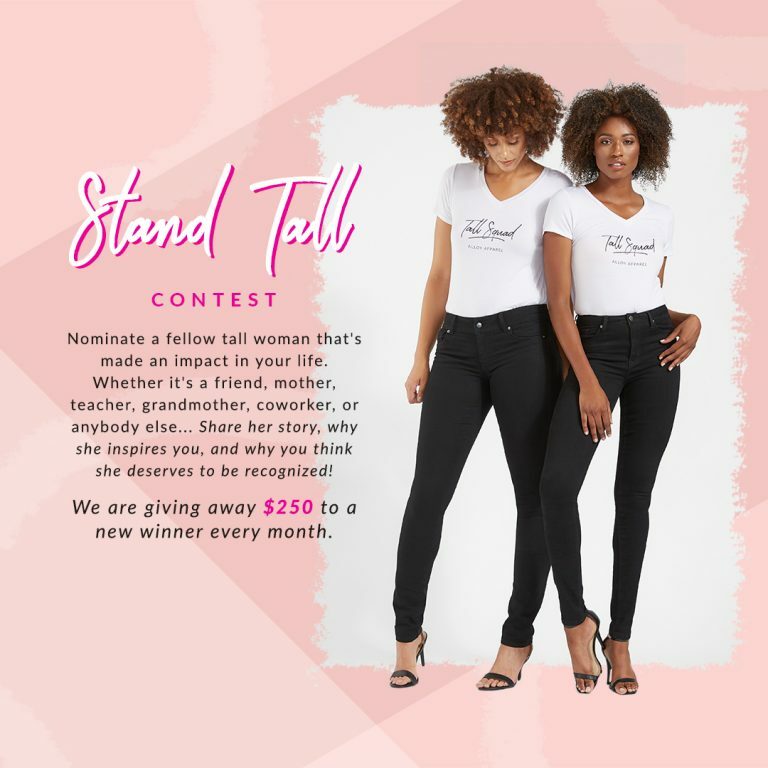 We are excited to announce our Stand Tall Contest. Help us acknowledge some admirable ladies by nominating a fellow tall woman that’s made an impact in your life. Whether it’s a friend, mother, teacher, grandmother, coworker, or anybody else… Share her story, why she inspires you, and why you think she deserves to be recognized! We are giving away $250 to each winner. This contest is ongoing. Winners will be selected once a month. All entries will be read and considered. Please only submit one entry per nominee. *Winners must be located in the United States. Entering gives Alloy Apparel permission to use your stories on the website, in an email, and on social media. Contest is ongoing until further notice. Winners will be announced once a month. We will notify you via email if your nominee is selected. You must provide a valid email address to receive the prize. Offer is non-transferable and subject to change without notice. Share her story, why she inspires you, and why you think she deserves to be recognized!